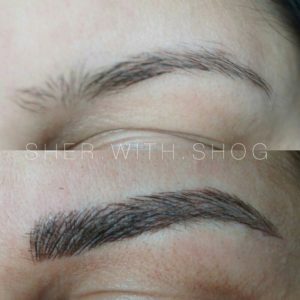 Microblading Eyebrows in Glendale, California. Mazi Salon offers the best quality Microblading in Glendale, CA at an affordable price! People call Microblading by many other names. They call it microstroking, permanent cosmetics, hair like strokes & eyebrow tattoo. It is a form of permanent makeup that is meant to partially replace missing eyebrow hair with the appearance of real hair. There are many different qualities of microblading eyebrows. Due to the fact that there are many qualities, it is easy to get fooled. Therefore, it is wise to start with an experienced permanent makeup clinic. At Mazi Salon we only provide the best quality 3D microblading eyebrows in Glendale CA. Permanent makeup is a new thing for most people. Therefore there aren’t too many experienced Microblading Salons in Glendale, CA yet. Our Permanent Makeup Clinic for Microblading Eyebrows in Glendale, CA is a different story. We are knowledgeable & experienced with all aspects of Semi-permanent makeup. 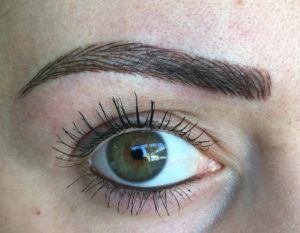 At Mazi Salon were professionals of microblading & eyebrow tattoo. Therefore, we know the perfect amount of semi-permanent tattoo ink to use for making your eyebrows look perfectly full. Why choose just any random salon in Glendale for your permanent makeup? You can get trusted microblading eyebrows in Glendale, CA at Mazi Salon now! Our Microblading Salon in Glendale, CA uses all of the best tools and products on the market. In addition, our Permanent Makeup experts are highly trained & experienced. Therefore, you get the best 3D microblading eyebrows in Glendale that you deserve. Clients of our Permanent Makeup Clinic for 3D Microblading in Glendale, CA stop going to other salons for many reasons. One main reason is the amazing quality permanent makeup services that we offer. Don’t settle for anything but the best Permanent Makeup in Glendale CA! Visit Mazi Salon for the best microblading in Glendale, California now! Mazi Salon also offers a variety of other Salon services in Glendale, CA as well. Click Here For Directions To Mazi Salon on Google Maps. Click Here For Yelp Reviews On Mazi Salon!